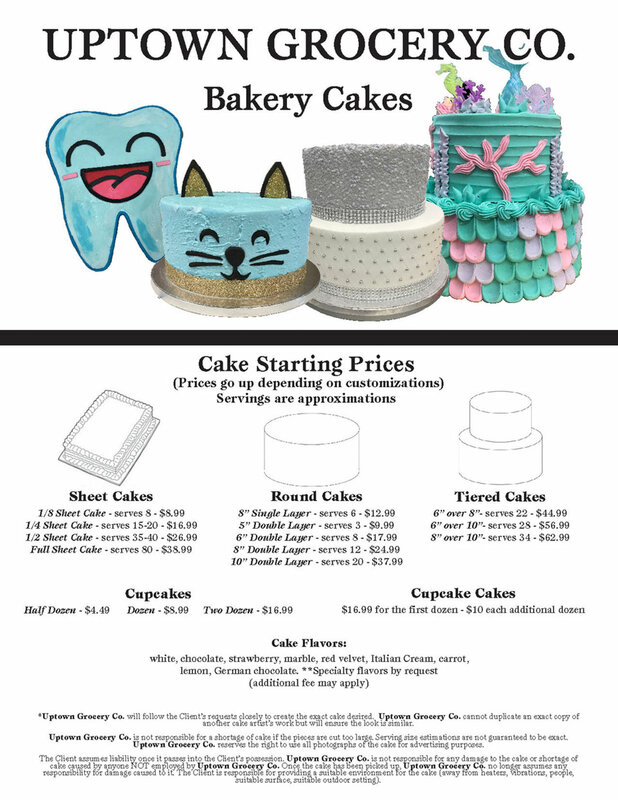 Cakes - Uptown Grocery Co.
Our Bakery is committed to creating the perfect cake for your special event! We customize your cakes to your liking, with your favorite flavors, fillings and icings in the perfect color, shape, and size. Our cake decorators listen to your vision, and create the cake of your dreams with their expertise! We require a 48 hour notice, and limited selection on flavors, sizes and fillings may apply. Fondant orders require advanced notice. Inquire about your custom cake below! Notice: All client communications are made via our client management software, HoneyBook. If you have not heard from us immediately with our starting prices, flavors, and sizes, please check your Spam or Junk folders for messages.